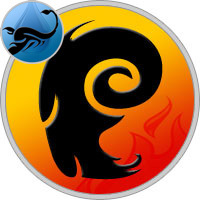 The first Zodiac sign Aries and the eight sign Scorpio, belong to the fire element and water element respectively. An Aries man and a Scorpio woman have certain traits which bring them together, and some traits that can tear them apart. An Aries male has the propensity to be enthusiastic, quick on the feet and very ambitious. They are uncomplicated individuals and are always the life of the party. A Scorpio woman is very gritty yet an emotional individual. She is also a very passionate person. A Scorpio woman finds the love for adventure and travel of an Aries man very appealing. A Scorpio woman’s caring nature will keep her man’s short-temper under control. An Arian has his own charming ways to attract a woman. On the other hand, a Scorpio woman tries her best to gain attention of her male counterpart. This is one reason why an Aries man and a Scorpio woman can make a good pair. A Scorpio woman’s mysterious nature charms an Aries man and she loves the attention he showers on her. The passion and aggression combination may give the couple some great moments in bed. But, for a lasting commitment, it may require efforts from both individuals. A Scorpio woman does not forgive and forget very easily. Thus if the aggressive Aries male loses his temper often, the Scorpio woman may not be able to overlook his anger and aggression. This may not work in favor of their relationship. The Aries man will have to work on pacifying himself often while the Scorpio woman will have to deal with the indulgent habits of an Arian. Effort have to come from both ends which will help the relationship flourish. It takes two to create magic in a relationship and the sooner the couple realizes that, the better it will be for them. Thus, if one of the two individuals sacrifices their lust for the “upper hand” it would serve them well in their relationship.